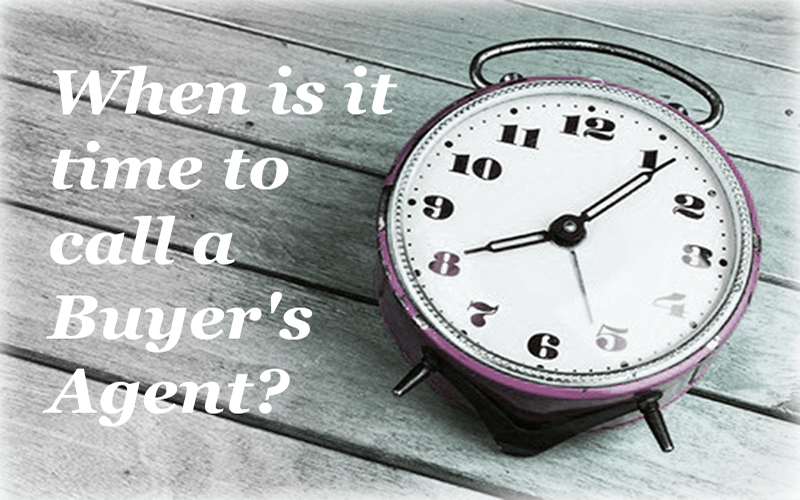 When is the right time to call in a property buyer's agent? To call a property buyer’s agent or not? This is a question that can cross the mind of a property buyer. A buyer who may be buying property for the first time or have bought property before and found it stressful and frustrating. Buying your first property, particularly an investment property can be huge undertaking. It’s a big financial investment, can be time consuming and requires a certain level of knowledge. That’s if you want to get it right. Sure, this is not the case for everyone. A seasoned property buyer or property investor will not see buying property as a huge deal… But if you are just starting out, the only word to describe it is huge! So much to learn, so much to know, so much to check! Is it over yet? Luckily there is a lots of property professionals that help you through the process. One professional in particular can be especially helpful when you are starting out, and that is a property buyer’s agent. A property buyer’s Agent, also known as buyers advocates or property advocates is a real estate agents that work solely for you, the buyer. They are not as commonly used in Australia compared to other countries but they certainly have their place in the property market and are angels in disguise for the stressed out and frustrated property buyer. If the thought of having to negotiate with another real estate agent gives you a sinking feeling in your stomach, then it might be time to call a property buyer’s agent. Buyers agents usually highly trained negotiators. Even if they have not undertaken official training, they are negotiating on a daily basis and have the skills and tactics down pat. (If using a skill every day doesn’t make you highly trained, I don’t know what does!) Remember, they are technically real estate agents, so they know and use all the tricks and tools in the real estate agents tool kit… Except they are using them for you not against you. Trying to find a suitable property can be a hurdle for first time property buyers. Many home buyers get tired and frustrated looking at properties that are not meeting their expectation and are just plain disappointing. A property buyer’s agent is out in the market looking at properties every single day. They will shortlist and present to you only the properties that they have found to be suitable for your needs. If the property doesn’t meet your requirements in regard to; size, location, suitability or price they will veto it and keep looking. Life is busy, right? And you are most likely too busy earning money to pay for a property to make time to actually find the property. It can definitely be a time-consuming process that’s for sure. If you work full time or are time-poor for other reasons, it can take a very long time to try and find a property. A buyer’s agent can be out looking while you are busy doing other things. Even if you’re a seasoned property buyer or property investor, using a property buyer’s agent can be worthwhile simply for the time saving factor alone. Well technically you may not get ‘access’ per se, but your property buyer’s agent will likely subscribe to all or some the software and programs that a real estate agent subscribes to. And they will likely give you all the reports associated with the suitable properties generated from these programs. What programs you ask? Programs such as Core Logic’s RP Data and Pricefinder collect and collate valuable real estate information, including sales history and sale prices, which can prove to be highly beneficial when it comes time to buy or sell a property. So, while you may not technically have access to the programs, you’ll benefit none-the-less. Property buyer’s agents generally operate in selected areas and tracking sales over time in one area can give them priceless local area knowledge that you simply can’t get anywhere else. It can make all the difference when buying a property. Local area knowledge is information that you cannot buy and you certainly cannot learn quickly (unless you put in many hours of research). Local area knowledge includes tid bits of information that only local residents would know. This knowledge could include knowing which side of the street to buy on to get better views of the city or which areas close to the local shops to avoid because those properties are known to have issues with rats, or it could even be knowledge of a new development that is due to start that could impact nearby properties. A real estate agent will have all this local area knowledge as well, but they’re not going to tell you the information that could stop you from buying, are they? No! They are only going to share the good stuff! A property buyer’s agent will share it all. Of course, as I said early on, engaging a property buyer’s agent is not going to suit everyone. If you are confident that you have the time, skills and abilities to research, find and negotiate to buy a property, then you probably don’t need a buyer’s agent. On the other hand, if you find yourself with no spare time, no confidence to negotiate, you’re overwhelmed and even floundering, then it may be time for you to call in a property buyer’s agent. Have you ever engaged a buyers agent to find and buy a property for you? I’ve love to hear how you found the process. Share your buyers agent story below. Buyer agent is become very useful key to make your deal profitable. In my point of view, when we want to purchase any property and the seller charge high amount of that property at that time Buyer agent not only cut the high charge of the seller but also try hard to make the deal profitable for you.